Her Majesty The Queen named the Royal Navy’s new aircraft carrier. 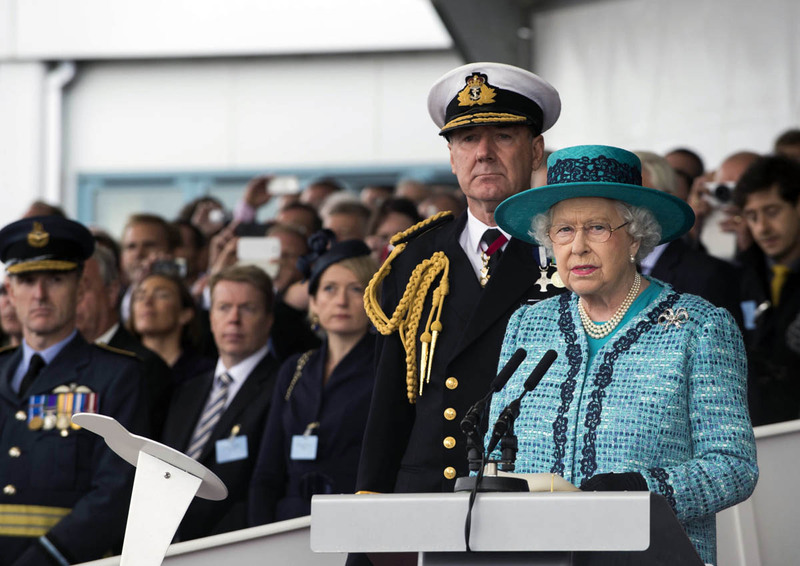 July 4, 2014, Her Majesty The Queen officially named the Royal Navy’s new aircraft carrier at a ceremony in Rosyth. Whilst traditionally a bottle of champagne is used, given the carrier’s Scottish roots, it seemed fitting to use a bottle of Islay malt whisky instead to smash against the bow. 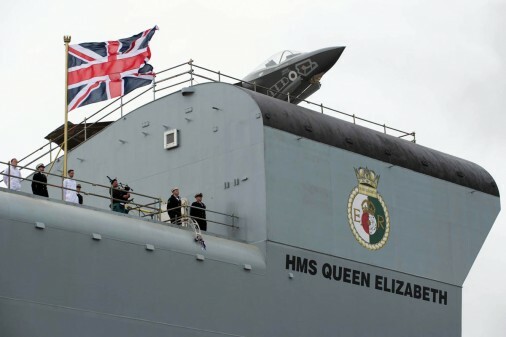 « The naming of HMS Queen Elizabeth heralds a new dawn, not only for the Royal Navy but for the delivery of our Nation’s security », said the First Sea Lord, Admiral Sir George Zambellas. 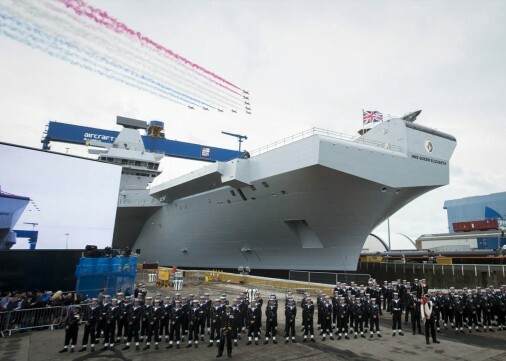 It’s the largest ship built for the Royal Navy with 280 meters long and 56 meters high. This ship will be at the heart of the UK’s defence capability for the next 50 years. 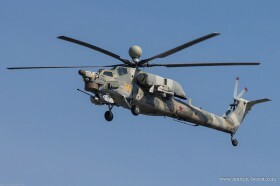 Sea trials will begin in 2017 and flight trials with F-35 Lightning II aircrafts in 2018. Work is already underway on her sister ship HMS Prince of Wales, which will be assembled in Rosyth dockyard later this year.